Chilling the crabs in the fridge or freezer just before boiling will slow their metabolism down enough that you can handle them easily. Put a pot with enough to cover your crabs to boil, add salt, a bay leaf, some celery chunks, a carrot, some pepper corns, and any other whole spices you've got on hand. Plunge the live crabs one at a time into the pot boiling water. You will hear what has been referred to as the screams, it is actually only the air whistling out of the shell as steam builds inside the carapace. Boil for about 7 minutes per pound of crab. Remember you can cook it more, but you can't un-cook it. When the crab is done it will have changed color to orange, remove from the water and allow to cool. Lift the carapace off by leveraging from hindquarters. This is most easily accomplished by finding the narrow triangular flap on the crab's abdomen and pulling it back. Now you can get a finger under the back of the carapace and wedge it off. Pull away as much innards with the shell as possible and dispose. Clean gills and any other additional goop still clinging to remainder of crab. Remove and clean the meat. Clean the crab back if you are going to stuff it. Heat oil, and saute the first five ingredients for about 5 minutes. Add the bread and the jalapeno, continue to saute for one minute and add the parsley. Then crush and add the bouillon cube and mix to incorporate. Add crab meat and cook for another 10 minutes or so, stirring to combine thoroughly . Taste and adjust seasoning with salt & pepper. Remove the mixture from heat and fill the shells. In a small bowl mix bread crumbs with the butter. Top the stuffed crab backs with breadcrumbs. Bake in a 350* oven for 5-10 minutes. Serve warm. 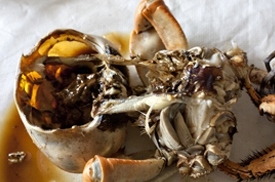 ​You can also use this recipe for Marine Crabs & Lobster. If you prefer a mild version, you can omit the Scotch bonnet pepper. 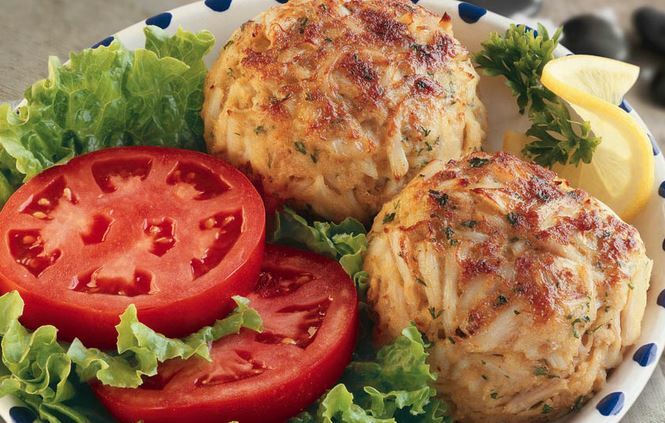 I got the original recipe for these crab cakes, from Paula Deen's show on Food Network and I spiced it up a little to suit a more Caribbean palate. 1/2 to 1 cup peanut oil, depending on the size of your pan. In a large bowl, mix together all ingredients, except for the flour and peanut oil. Shape into patties and dust with flour, refrigerate for about an hour to help them hold shape while frying. When putting the oil in the pan, it should be enough to cover the whole bottom of the pan almost 1/4 of an inch deep. Heat oil in a large skillet over medium heat. 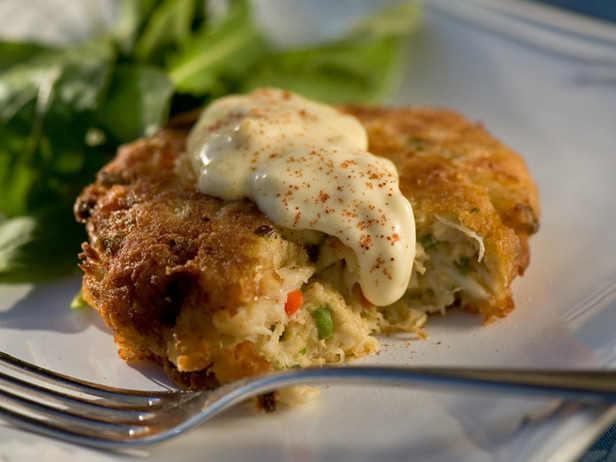 When oil is hot, carefully place crab cakes, in batches, in pan and fry until browned, about 4 to 5 minutes. Serve warm with your favorite sauce.